After reviewing the outdoor propane fire pit market, we've determined that the Outland Firebowl 870 is the best of the best. It is highly rated and reasonably priced on Amazon. It has great features like auto ignition, includes cover/carry kit as well as it's lightweight and portable. We highly recommend checking out this product. Having a great outdoor fire pit can be a real difference maker during your camping trips and outdoor excursions. You want to have a fire pit that provides necessary warmth and ambiance to the outside atmosphere. Fire pits can change the feel and mood of an outdoor space simply by running. There are few things more magical and bonding than sitting around a fire pit with that special someone or a group of great friends. While telling stories and sharing laughs, a fire pit can bring about a particular type of camaraderie in the group that is sometimes harder to garner in other situations. While purchasing a fire pit that uses natural gas is an option, propane has many advantages that likely make it a better fit for most camping ground and backyards. Firstly, the level of portability offered from a propane tank is amazing. It can easily be moved around because propane tanks easily attach to a grill or fire pit. Propane fire pits are also incredibly quick to light. They don't take numerous tries before a flame is lit. These type of fire pits also have a cleaner type of burn than wood fuel. Wood often comes with debris and ash that can be unsightly and annoying. Also doesn't produce sparks, flying embers or smoke. This fire pit can easily be used for tailgating, camping or backyards. Burns completely clean, so no smoke or ash production. It is incredibly lightweight and easy to carry. Comes with a regulator and a 10-foot hose to properly attach to the propane tank. You won't have a need to change your seat regularly depending on which way the wind is blowing. This fire pit provides a quick and easy startup amid it's contemporary and sleek design. No smoke or fuss needed with this product. It can be turned on and off quite naturally. There is no elevated level of noise that comes off of this machine at all. 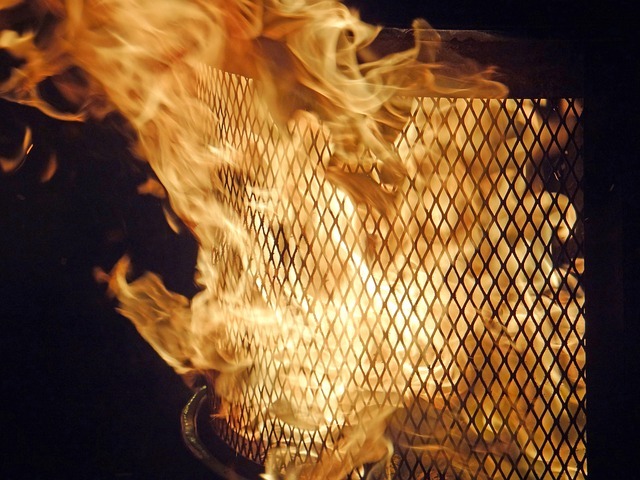 Enjoy a clean, soft burn in whatever outdoor venue you choose. This product comes with a branded red top that can be used to cover the product when it's not in use. All that is required to turn on the fire is a properly secured hose attached to a propane tank. Lighting the pit is as simple as holding a flame carefully near the burner. No need for firewood or excess elements to keep the fire going. Though this fire pit isn't very portable, as it is quite heavy, it can easily be a gorgeous staple in your backyard. The stonework and craftsmanship are both stylish and unforgettable. Lounge around your yard and enjoy the warmth provided from this beautiful fire pit. Comes with a hose and a tank holder. Propane not included, but a standard 20lb tank would work beautifully. The most affordable option on this list, this fire pit can easily be hauled to the nearest beach or park or friend's yard. The fire burns clean from the fire ring within the center of the bowl. It's incredibly lightweight and is easily moved from place to place. Ceramic logs can be purchased for an additional cost. This fire pit comes conveniently with everything including decorative lava rocks, the regulator, and the stabilizing ring. You won't have to fuss over various aspects of other fire pit experiences. Enjoy the beauty and warmth of this fire pit completely separate from the ash and smoke, it comes with a carry handle and a storage bag. There's nothing quite like the night time glimmer of a roaring fire. Opt for the cleaner and easier way to enjoy fires by getting a propane fire pit. You'll get all the necessary warmth and atmosphere, without the smoke that always ends up bothering a bunch of people. Read some reviews and figure out just how much you want to spend before deciding on one.